The popularity of cop watching as a direct action tactic has been surging nationally. In the aftermath of the unjust killing of Michael Brown, and particularly the overly aggressive and violent actions that the various law enforcement agencies took against those protesting Michael Brown’s killing, We Copwatch (led by our friend and ally Jacob Crawford) teamed up with the Canfield Watchmen (led by David Whitt) to create a cop watching presence in Ferguson and the surrounding areas. Like the Peaceful Streets Project did in 2012, We Copwatch and the Canfield Watchmen raised thousands of dollars to put scores of cameras into the hands of the people so they could hold police accountable. But the current cop watching activities of the police accountability movement that has been energized by the killings of Brown, Eric Garner and other unarmed (and most often black) people is only the crest of a wave that has been building for decades. The Peaceful Streets Project engaged in cop watching after we formed in 2012 because we believed that that was one of the most powerful ways to let the police know that we were not going to stand by as they continued to commit crimes against the people. Cop watching also allowed us to strengthen communities that would protect and serve each other, instead of hoping that the people who often abuse them might decide to help them when they are the victim of a crime by someone who is not a police officer. Finally, cop watching allowed many victims of police abuse to feel that they were once again in control of their lives. For a victim of police abuse to be able to stand up to a police officer, and film them as the police officer glares at them, and to know that people are there to stand behind the filmer is quite powerful. For many it is a part of the healing process that never comes through the criminal or civil courts. Cop watching has come a long way since the 60′s, and too often those who dared to cop watch were ridiculed and slandered by those who claimed to be “law and order” types. 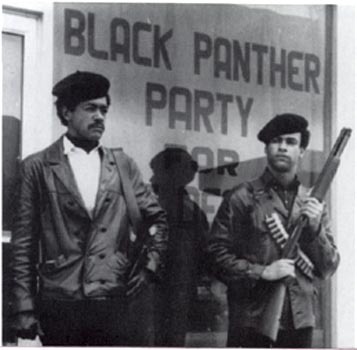 But the theme that runs through cop watching from the Black Panther Party, the Brown Berets, We Copwatch, the Peaceful Streets Project, and the Canfield Watchmen is that the cop watchers have always stood in opposition to oppression and have always been eager to call out the institutionalized violence of the police state. It is the cop watchers that stand up for the most vulnerable members of society – the people the police choose to prey upon as opposed to protect. The act of cop watching has become perhaps the most powerful direct action tactic. Know Your Rights trainings are critical in educating people. Giving victims a platform to share their stories of abuse raises awareness. Organizing summits can help build communities. And many people are doing great work trying to change laws to help chip away at the police state. But it seems that cop watching is the tactic that has the greatest ability to change the way that victims respond to police abuse, to immediately alter the behavior of the police, and to help those on the sidelines to recognize that the offense that police everywhere take to filming indicates that the bad cop mentality is rooted deep within the culture of law enforcement. The movement has now drafted the young and elderly, people of all races and all socio-economic backgrounds, and now the movement is even getting airtime on mainstream media. Last weekend, Peaceful Streets Project founder Antonio Buehler even had a five minute piece that ran on Fox News at 10p Eastern. While this riled up many Fox News watchers, it no doubt also planted some seeds. Perhaps some of them will even join us in the streets as we film the police. This movement is winning, and this movement is on the right side of history.